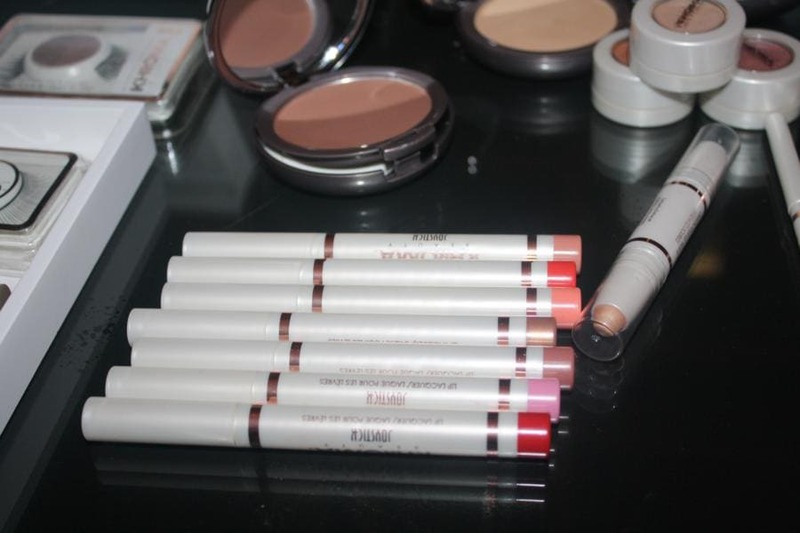 Khroma Beauty is the Kardashian sisters’ new beauty line and I got to know the line a bit more, with Khloe Kardashian at the Gansevoort Park Ave NYC hotel. Khloe sat down with a group of beauty bloggers to answer questions and tell us why this line is different for her and her sisters. 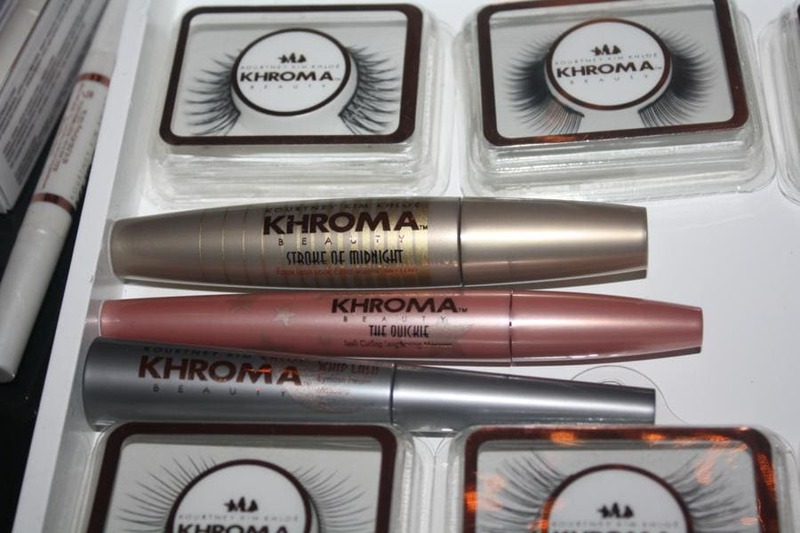 Khroma is a brand of beauty products that include every kind of makeup. If you’ve ever seen a look on a Kardashian face that you liked, they’ve created a product for it. Loving their eyelashes? No worries! They’ve got an entire lineup of faux lashes to suit your mood and occasion. Think their smoky eyes are to die for? They’ve got a kit for that. 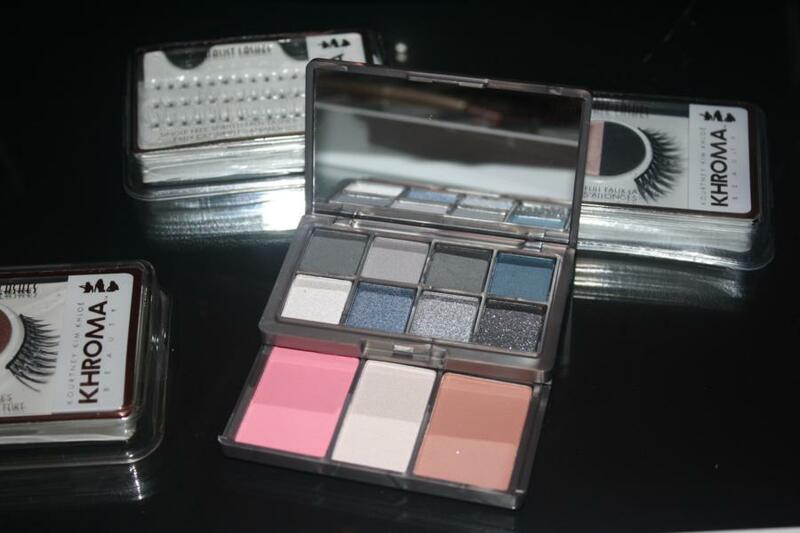 The products are priced reasonably so that all their fans can enjoy it, not only those who can afford pricey makeup. Khroma Beauty is different for the sisters because of how involved they are in the process. They’ve gotten numerous offers to put their name on makeup lines but they wanted to make sure it was a true reflection of their style. The Khroma execs let the sisters have a ton of input in the creation process. Khroma Beauty launched in 4500 stores and they’re flying off the shelves. 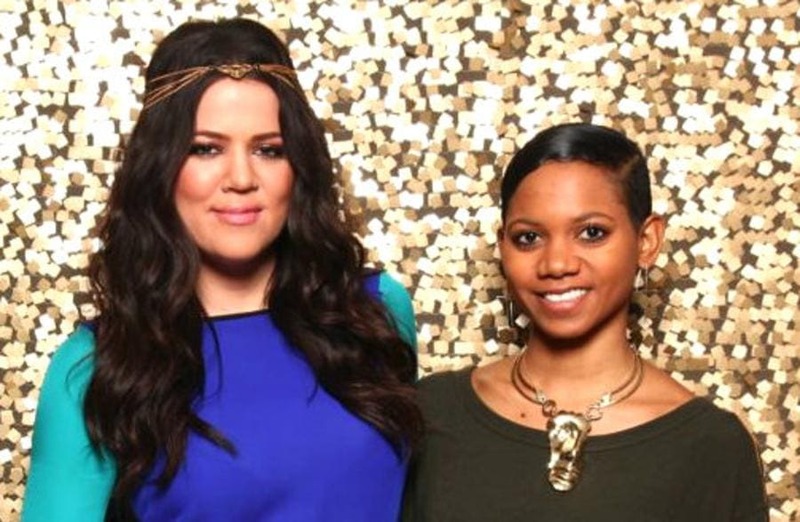 Khloe noted that they are blessed with social media because they get to hear what their fans think and want. The sisters also got to choose which areas they wanted to work on. 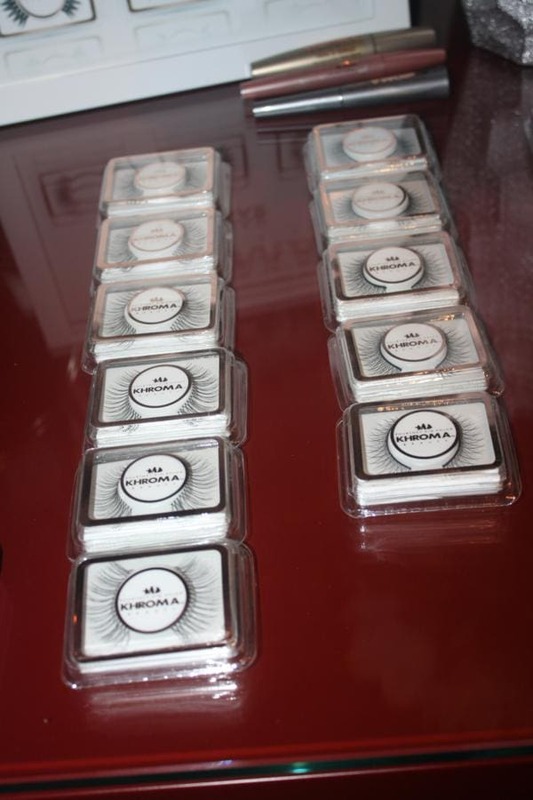 Khloe said that Kim and Kourtney love eyelash strips so they were very involved with those. They are three very opinionated women so that makes for a great makeup line. 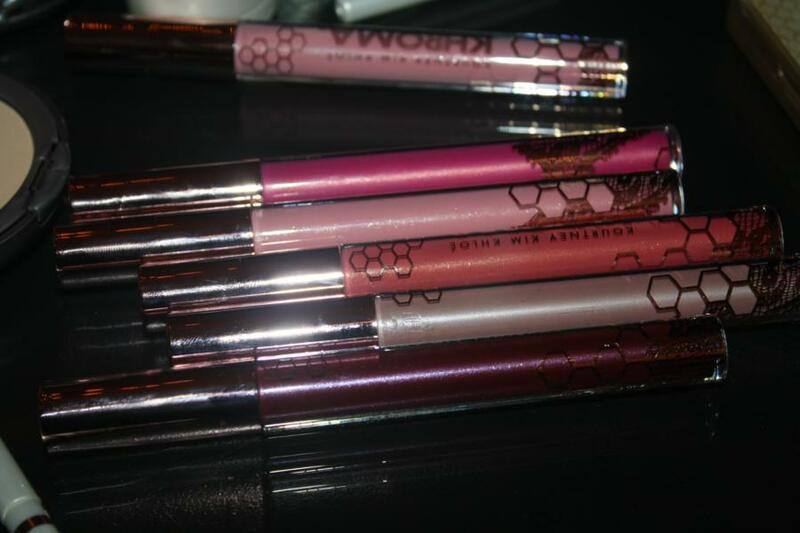 A special Holiday assortment of Khroma Beauty is launching in Ulta stores this month. This lineup will include false eyelashes, mascaras and Kardazzle Compacts. 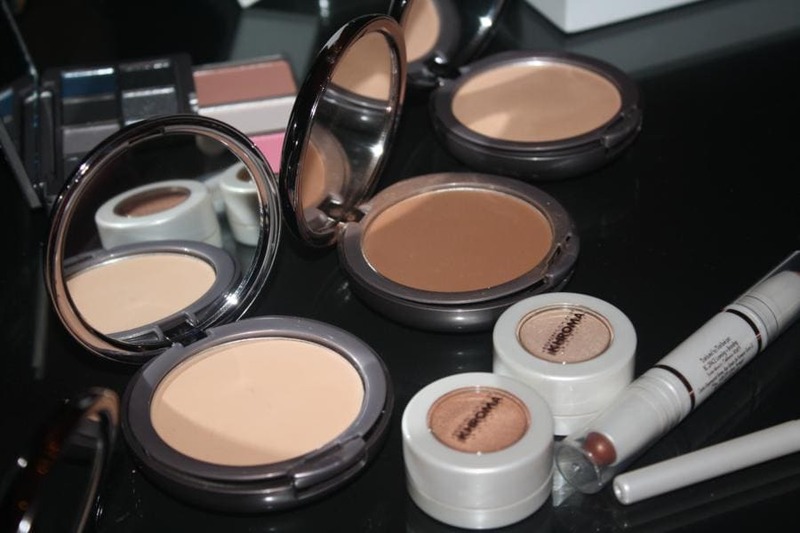 A comprehensive launch follows in January/February 2013 with an item based color range and unique signature items such as Kurve Compact Dual Finishing Powder, Intimate Spotlight Illuminator and Million Dollar Mask, a gold pre-foundation treatment mask. Click here to check out Khroma at Ulta.com.